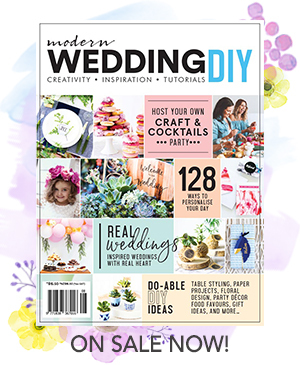 Melanie and Chris celebrated their marriage with a traditional winery wedding set in the beautiful Yarra Valley. 'After a few false starts (Chris cancelled our first date three times, half an hour before he was due to pick me up!) I realised that it was 'love' a couple of weeks after our first date,' says Melanie. Chris proposed on bended knee in Tahiti, overlooking the beach at sunset. 'I remember being so excited and overwhelmed that when he pulled out the ring, all I did was reach for it, leaving him hanging with my answer!' recalls Melanie. The couple opted for a neutral colour palate in order to complement the green vineyard setting of their winery wedding at Vue on Halcyon. Following a ceremony on the lawns Melanie and Chris enjoyed a sit-down meal with their family and friends in the brand new reception hall. They decorated using a combination of white orchards and branches with hanging tea light candles. The height of the centrepieces suited the venue's arched ceiling. 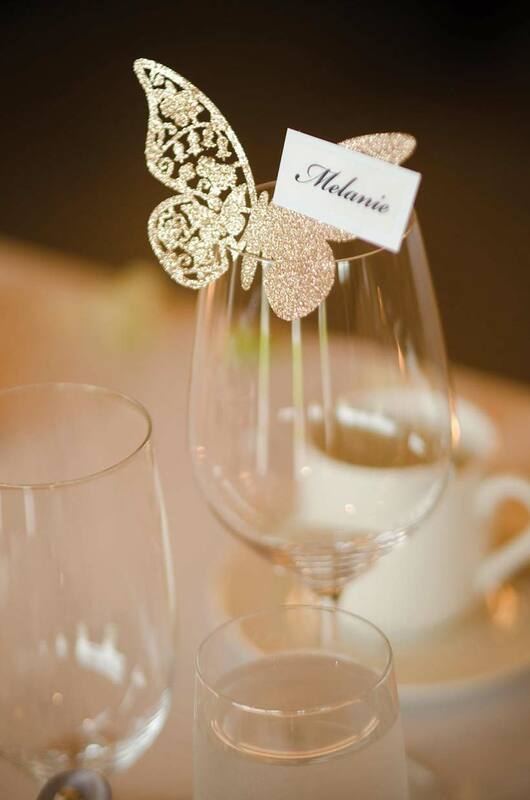 A filigree butterfly sat on top of the red wine glass and served as place card, while guests took home a white box filled with lindt balls and a thank you tag with a stamp of Chris and Melanie's faces.